Bred to work the fields, Picards are very athletic and revel in exercise. They enjoy swimming, running beside a bike, and a nice long walk. Some Picards will actually fetch balls. 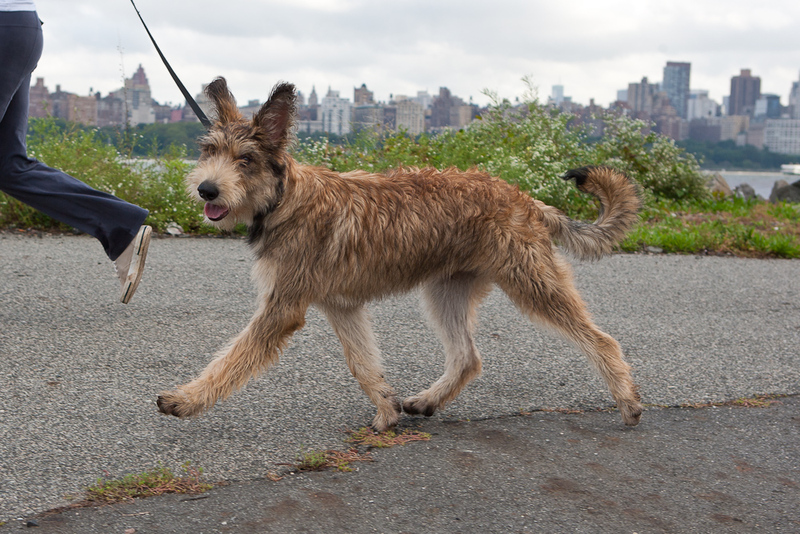 The Berger Picard also makes an excellent jogging companion. Exercise is therefore a must for this breed! Every day! Otherwise boredom will give way to destructive doggie behavior and rowdy play. 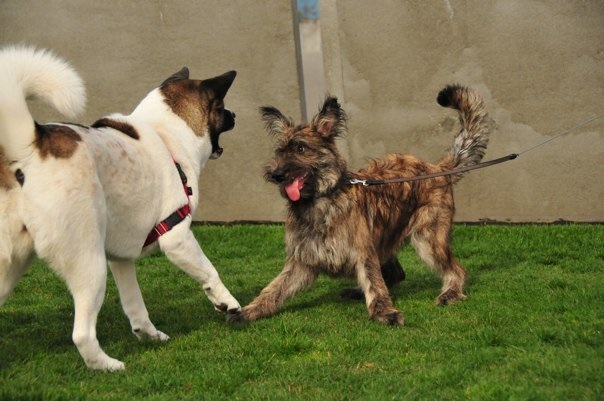 The breed’s intelligence and sensitivity are also making them increasingly popular in dog sports like Agility, Tracking, Schutzhund, Flyball, and French Ring Sport. As with all breeds of dogs, caution should be taken not to over exercise developing puppies. Picards tend to be energetic, happy dogs, but at the same time stoic and may not give any indication that they are stressed. This may allow them to go far beyond reasonable limits which could lead to injury of the growth plates and growing joints. The rule of thumb for exercising your growing puppy is 5 minutes of exercise for each month of life and then provide a rest period. Just as human parents guard their toddler’s activities, owners of young Picards should monitor pounding activities that could lead to stress on joints. Such activities can include jumping, running up and down stairs, rough housing with bigger dogs and making sharp turns and stops to name a few. Caution should also be taken on slippery floors, rough terrain and deep snow, or any environment that does not provide sure footing for young Picard legs. Puppies will be puppies though. 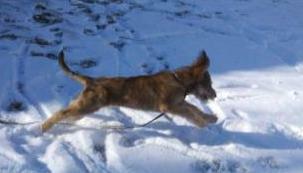 Owners may not always manage to corral their puppy’s wonderful energy and exuberance but can identify potential environments or situations that can lead to injury. It’s all fun and games until someone tears an ACL/anterior cruciate ligament.